The biggest issue is hair. If you are out of the closet and have a supporting spouse you have probably already waxed or shaved your hands and arms. But like many of us, this is not an option for me. I have always been disgusted by the hair on my hands and arms. Over the last year I have been slowly trimming it back. I use a hair-cutting kit to thin out my arm hair. Running the ¼-inch attachment through your arm hair brings it down to a nice level. I shave my fingers and parts of my hands and then leave just a bit. I then use a little bit of Sun-In, a product that lightens hair in the summer sun. This will lighten up what’s left. In the winter, you can use a hair dryer with the Sun-In. Next, if you want be a girl or look like a girl, start acting like one! Take care of those hands. Buy some really good hand cream and keep it at your desk. Wear gloves when doing your manly activities, raking leaves, changing the oil, roofing, etc. Let’s talk about those nails. I keep my nails a tiny bit long, about a 1/8-inch of white at the tips. When I am on the road for work and planning a day out, I’ll go to any local nail shop. I usually go in drab the night before my outing and get a French manicure. The French manicure features white tips that are accentuated by a natural looking base. The nail technicians are typically delighted and fascinated by me. I tell them I am going to a party dressed as a woman and they usually think this is so cool and ask a bunch of questions. Once again, this provides a great opportunity for outreach and education. Never has there been a negative or cold reception. The cost is about $20.00 with a gratuity. A trick with this manicure to camouflage our larger hands is by having the white tips run a little deeper inward. Normally women have a ½-inch nail tip that is polished white. Instead, we have a ¼-inch of white polish, but it doesn’t extend out past the edge of the finger. This creates the illusion of a longer nail and thus shorter fingers. I understand that going to a nail salon might not be in the comfort zone of many girls. Another great option that produces fantastic results are Broadway press-on nails. Get the short ones and you will get almost the same effect. I am wearing them in this picture. The only place I can find the press-on nails is at CVS stores. I wait until there is a two-for-one sale and stock up. Finally, we send gender clues by the way we move, hold and gesture with our hands. I have seen beautiful transgender women who use masculine hand gestures that look out of place. Here is an amazingly simple trick that I saved for last: how to make our hands 30 to 40% smaller. Place you hands flat on the table in front of you. Then take your thumb and place it between your pinky and ring finger. See the difference? Now, add a faux engagement ring on one hand, a birthstone ring on the other, a gold watch on one wrist and a bracelet on the other; teamed with your manicure and hand care makes a huge difference! A rule of thumb (pun intended): when observing feminine body language, notice that women tend to make themselves smaller. For example, women hold their arms closer to their bodies and cross their legs. Men hold their arms away from their bodies and keep their legs open. You’ll notice that women keep their hands cupped or have their fingers curled inward while holding their hands idle. Women also tend to keep their hands above their waist. Become an observer of women; find a mentor and notice her movements and gestures. Then practice and don’t be afraid to act feminine. When I first started going out in public, I was hesitant to act feminine, then it dawned on me. “You’re wearing a dress idiot!” Of course I should act feminine. Observe yourself in front of a mirror as you would when rehearsing lines in play. Learn the part and then it will become natural. One thing I have noticed about transgender women, the girls who look good work at their femme presentation. I’ve covered some of the things you can do to improve the look of your hands. Being a pretty girl takes time, dedication and effort. It’s not an impossible dream, you will take small steps that add up and someday you’ll be out in public and receive an unsolicited complement. Then you’ll realize that all these tips were…umm “handy.” Okay, I embarrassed myself with that awful pun. What a timely post. My wife was just talking about my hands yesterday. Her's are actually bigger and rougher than mine but I have more hair. Thank you for the tips. Practice makes perfect. 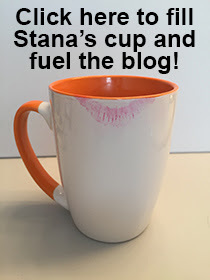 Thanks, Stana. Real women are my best examples of being womanly! They've actually played a big part for me. Thanks, again for all YOU do! Highly useful advice which I also learnt the hard way over the years Paula!! I recall 25 years ago being in a store and having the right presentation otherwise pulled out hairy hands to pay a sales lady and having her wince upon realizing I was male. So take care of those hands ladies!! I agree, great post ...would love to see more tips on a regular basis.